Last weekend, Air Marshall Hadi Tjahjanto became the new Indonesian military (TNI) commander. It was one of the fastest confirmation processes in recent memory—Tjahjanto was nominated by President Joko ‘Jokowi’ Widodo on 4 December and took over the command from General Gatot Nurmantyo five days later. What can we expect from the new commander? On the one hand, a TNI commander from the air force is almost unprecedented. Since 1945, the Indonesian military has had 20 commanders (if we count the brief tenure of the chair of the Joint Staff from 1955 to 1962). Sixteen of them were from the army, while the navy and air force each had two. Since 1998, there has been only one TNI commander from the air force, Air Marshall Djoko Suyanto (2006–07). But he had the shortest run in the post-Suharto era (22 months) and focused mainly on laying the groundwork for the government’s takeover of TNI’s business activities. That means we don’t have a good benchmark for what an air force TNI commander might seek to accomplish, or for how the army-dominated organisation might behave under his command. And Tjahjanto is only 54 years old, so he could serve until 2021. If he serves the full four years, he’ll have the longest tenure of all post-Suharto TNI commanders since the legendary General Endriartono Sutarto (2002–06). On the other hand, it’s safe to assume that, despite Suharto’s efforts to ‘centralise’ the doctrine, ideas and historiography of all three services, inter-service cultural differences can’t be ignored. 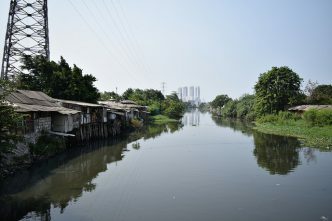 An air force TNI commander should, in theory, be less concerned about antiquated internal security threats than he is about the changing regional environment or the decaying state of TNI’s infrastructure, hardware and weaponry. We should expect Tjahjanto, at the very least, to put the ‘minimum essential force’ back at the centre of defence policy. The development of air force bases, improvements to the country’s radar and satellite systems, and the arrival of new aircraft could come to the fore, along with improvement in military aviation safety (which he promised as air force chief). 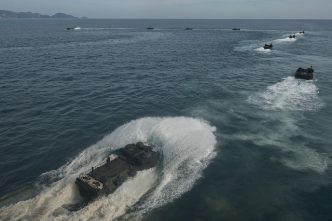 During his hearing, Tjahjanto said that he’ll focus on the changing global order, terrorism, cyberwar, China’s rise and activities in the South China Sea, and maritime security. Given the close personal history between Jokowi and Tjahjanto, some believe that focusing on those areas can strengthen the president’s global maritime fulcrum doctrine. The ‘externally oriented’ agenda also suggests a shift away from the previous leadership’s focus on antiquated notions of ‘proxy warfare’ and ‘state defence’. But we should be cautiously optimistic on that front. The French-trained Tjahjanto, unlike previous air force chiefs, was not a fighter-jet pilot (he has flown light aircraft). He had several base commands but obtained his first star as the training director of the National Search and Rescue Agency in 2011. In fact, Tjahjanto’s rise to TNI chief surprised some of his superiors in the air force. 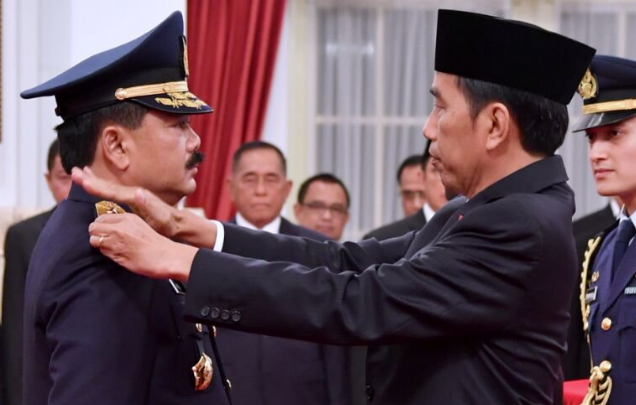 He is also considered a relatively junior TNI commander—similar to Tito Karnavian, who was appointed Indonesia’s national police chief last year at the age of 51. Tjahjanto represents the military academy class of 1986, and must tread carefully since many of his seniors (from the classes of 1983–85) will remain within the TNI. After all, conservative tendencies among the current generation of TNI leaders aren’t uniquely attributable to Nurmantyo, the outgoing TNI commander. Thus, we shouldn’t expect fundamental changes or path-breaking policies during Tjahjanto’s tenure, at least until after the 2019 elections. His first priorities will be to consolidate his rule, maintain the TNI’s political neutrality, and make security preparations for next year’s direct local elections and the general elections in 2019. We should anticipate several waves of senior TNI officer rotations and appointments next year to that effect. Tjahjanto would need to appoint his own trusted officers to have a fresh start. 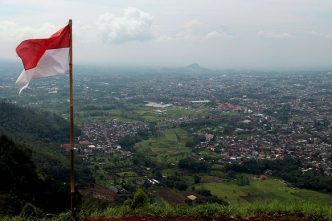 The first step would be a review of the last round of senior officer appointments Nurmantyo signed off on on 4 December. Finally, as far as civil–military relations go, we should expect a more cordial, if not a closer and more productive, relationship between the commander and president. 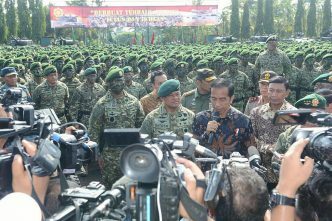 For the first time, Jokowi will have a trusted TNI commander that he has carefully chosen and has a good personal rapport with. His first commander, General Moeldoko (2013–15), had been appointed during Susilo Bambang Yudhoyono’s administration. And his rocky relationship with Nurmantyo (2015–17) is well documented. That being said, it’s less clear whether, and to what extent, the president might be more hands-on and personally invested in shaping defence or strategic policies. In any case, while it’s safe to expect that civil–military relations will now have a different tune, the structural barriers suggest we shouldn’t expect an entirely different song. Evan A. Laksmana is a senior researcher at the Centre for Strategic and International Studies in Jakarta, Indonesia, and a visiting fellow with the National Bureau of Asian Research in Seattle, Washington. Image courtesy of Twitter user Sekretariat Negara.